At Cottrell we are not only the world’s leader in car hauling equipment, but Cottrell is also leading the way in new driver technologies. Cottrell is excited to announce the new Cottrell Trailers app, another industry first. 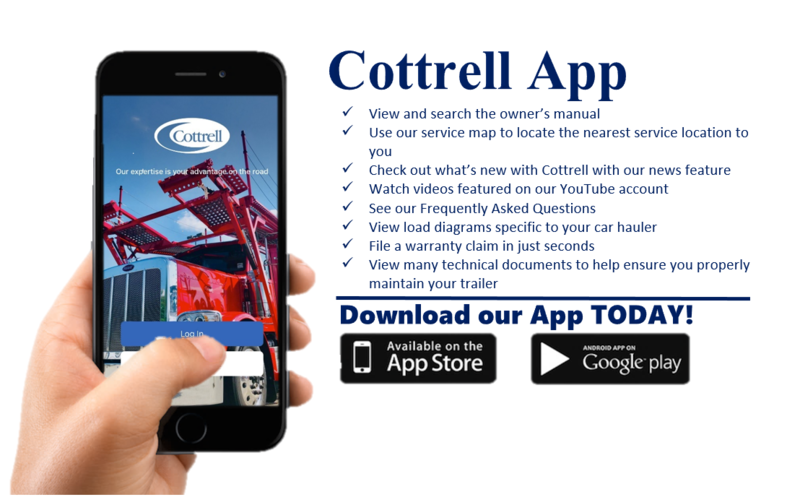 Our new app will allow drivers to access the Cottrell Owner’s Manual, locate nearby service locations, read the latest Cottrell news, view videos, see FAQ’s, download load diagrams, and much more. Download our app today! Available in the App Store and Google Play.